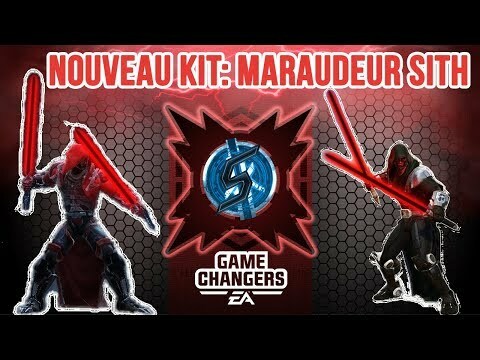 This February shadows gather as the power of the Dark Side introduces its latest threat- the Sith Marauder. For a sneak peek of what's in store with this terrifying attacker, please see the character Strategy post link below. A surprise, but a welcome one to be sure. This is amazing! Thanks for the new characters coming out as well! Man, people can't be happy when we get a new character...seriously! People say, "I wish you would give us notice in advance for when a character is coming so I can prepare for it." Then you tell us in advance when someone is coming and then you get a response, "I wish you wouldn't tell us and make it a surprise." Seriously?! If you're not happy with it stop playing, you're not going to hurt their feelings that much because the rest of us are happy with it. Thank you CG! 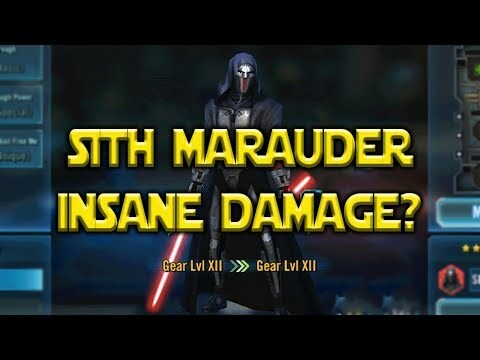 Glad we have Sith back in the game again! What, Marauder? I barely knew her! Okay, reworks AND an awesome new character! HECK YEAH! WOOOOOOOHOOOOOOOOO CG... you are off the Z-day trip list and I will help you now in the event you are being chased by flesh hungry zombies! 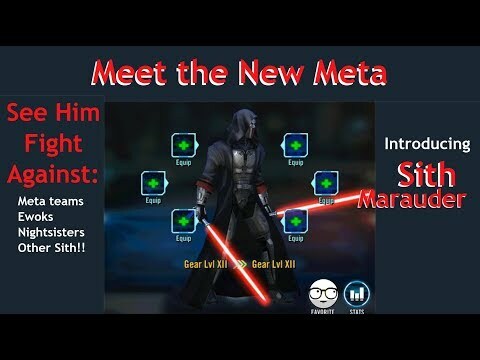 Thanks for another new character we won't be able to platoon right before the next dark side TB drops. 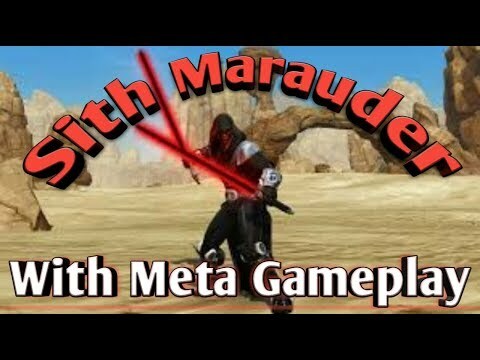 In response to Ahnald's video, I think it could be either Malgus or Sion. 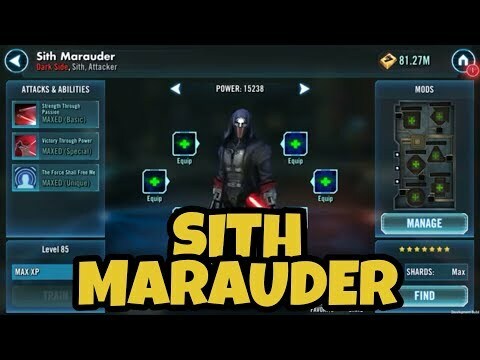 Sion was also a Marauder, surrounded by Marauder's in the Trayus Academy during KotOR II, and is connected to Nihilus as one of the three from the Sith Triumvirate. If they are staying with the KotOR theme, it will be Sion. 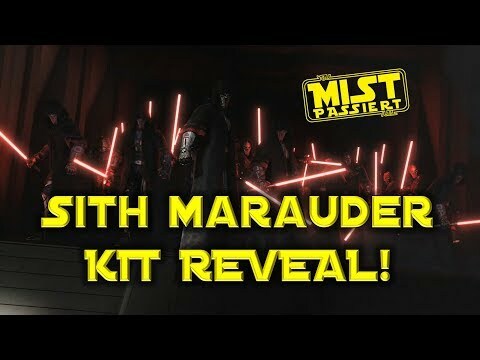 However, both the models of the Sith Assassin and Trooper are from SW:TOR, as is the model for this particular Marauder, so while I do believe they'll be pointing in the direction of Malgus, I don't think the idea of Sion should be entirely discounted. 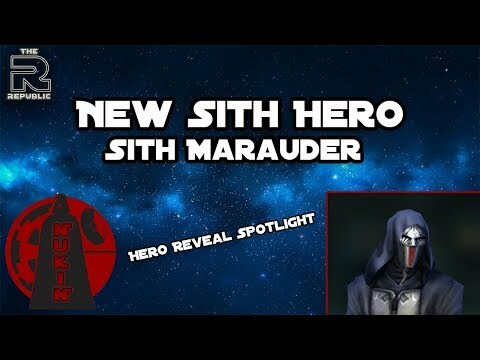 I'm excited for this as Sith as my favorite faction. They are looking like they may put out some big numbers in HAAT, which will be pretty cool. I think this would be so cool. 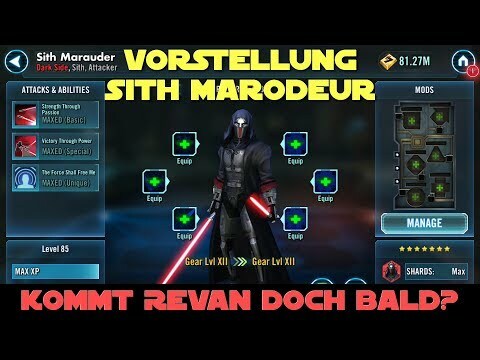 A new Sith Raid. 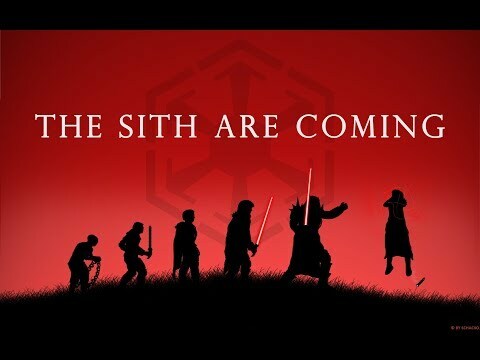 Each tier you battle the Sith Lords of old. Trayus, Sion, Malgus, Malek. Earning shards for completion. Needing all of them for Revan next year or something. Would definitely spice things up. Uh, no. 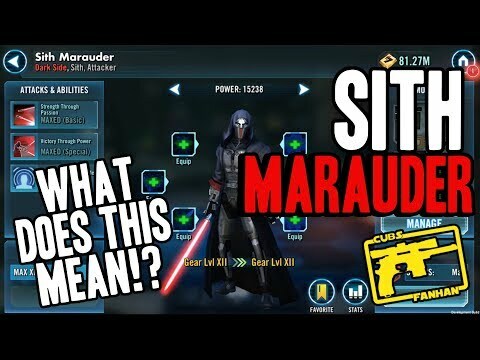 This is just like the Sith Trooper and Sith Assassin, they're just pulling in more stuff from the whole swtor universe, which may or may not include the big shot Revan. 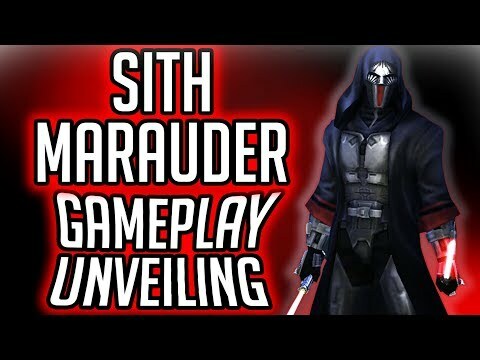 I hope it means Revan is coming, and Malgus, and Bastilla / Satelle Shan, and a whole whole lot more. I'm increasingly certain we've barely uncovered the tip of the iceberg of this update. SWEET! Keep them dark side updates coming! Another 3* Gear 6 toon for the bench.